Looking for a Used TLX in your area? CarGurus has 10,016 nationwide TLX listings starting at $11,977. Acura advertises the TLX as a performance luxury sedan. With some additional attention to detail, it could actually deliver on both promises. When it comes to Acura, the talk amongst automotive journalists is that the company has forgotten its heritage and what it's supposed to be. Leadership changes and a new design direction are the first hopeful steps toward Acura’s salvation. Next comes the hard part: inspiring passion and pride in both Acura loyalists and newcomers to the brand. 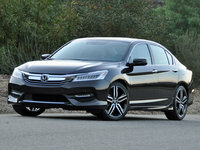 To create the Acura TLX, which Honda’s luxury division characterizes as a performance luxury car, the company essentially took the old TL and TSX sedans, tossed ‘em into an industrial-size blender, and out popped this value-priced and -positioned 4-door sedan. In the process, Acura killed the appealing sports wagon body style, one of the ingredients that made the TSX compelling in the first place, and which made Acura’s showrooms a little bit more interesting than those of the competition. Yeah, I know. Crossover SUVs are hot! That might be true, but some of us still prefer the superior driving dynamics associated with a utility vehicle that has a lower center of gravity. Getting back to the story, the Acura TLX plugs the gap between the Civic-based Acura ILX and the comparatively large Acura RLX. Like the TSX, the TLX is available with a 4-cylinder or V6 engine. Like the TL, the TLX is available with Acura’s Super Handling All-Wheel-Drive (SH-AWD) system. Prices start at $32,635 for the 4-cylinder trim (TLX 2.4) and can rise beyond $50,000 if you get the TLX 3.5 SH-AWD with the Advance Package and most of the goodies on the accessories menu. My test vehicle* was a loaded version of the TLX, painted Fathom Blue Pearl and fitted with $3,682 worth of extra-cost wheels and tires, bringing the price to $49,422. For an Acura, that’s steep, but you really don’t need the pricey wheels and tires, so by unbolting those babies you can roll home in a nicely equipped TLX 3.5 SH-AWD for $45,740. And that, my friends, is a relative bargain, undercutting similarly equipped Audi A4, BMW 3 Series, and Mercedes C-Class trims by as much as 10 grand. Unfortunately, the attractive 19-inch wheels give the blandly appealing TLX a presence it otherwise lacks, so it really is too bad they’re so expensive. Acuras are going to get better looking, though. If you’ve seen the Acura Precision Concept car from the 2016 Detroit Auto Show, then you likely agree that a production version of that vehicle cannot arrive soon enough to inject some excitement into Acura’s lineup of plain-Jane sedans. Inside, the TLX’s waterfall-style dashboard design looks increasingly dated, lending the cabin a feeling of being narrower than it actually is. Materials are clearly culled from the premium end of the parts bin, though, and the textures and tones convey an appropriately upscale ambience no Honda can match. Overall, from a design standpoint, the inoffensive TLX takes no risks, a predictable aftershock following the company’s bold foray into big, bright, and shiny shield-style grilles, which effectively punctured the Acura sales balloon. The question, then, is whether or not the TLX makes up for its lack of visual excitement by offering driving dynamics that get the heart racing and blood pumping, in turn forging an emotional desire for and bond with this car. Is the TLX really a performance luxury sedan, as Acura claims? The answer depends on which trim you get, how you specify the car, and, apparently, how and where you drive it. The test vehicle was a 2016 model. Changes for 2017 amount to paint color and interior choices. In 2015, I spent a week with a TLX 2.4 equipped with a Technology Package. It was the lease special, but I gave the car high marks for its driving dynamics, wishing mainly for better brakes and stickier tires. This time around, my TLX 3.5 SH-AWD test car granted one of those wishes. They're ridiculously overpriced accessories, but the 19-inch wheels and 245/40 Z-rated 19-inch Michelin Pilot Super Sport tires, in combination with the TLX 3.5’s excellent 290-hp V6 engine, torque-vectoring SH-AWD, and Agile Handling Assist brake torque-vectoring technology, absolutely transform the TLX’s driving dynamics, allowing the car to fly from corner to corner with grace, speed, and confidence. Switch the Integrated Dynamics System (IDS) into Sport Plus mode, dive down a mountain road, start flicking the 9-speed automatic transmission’s paddle shifters, and the TLX puts a big smile on your face. The steering doesn’t provide much in the way of feel, but is naturally weighted and responds quickly. 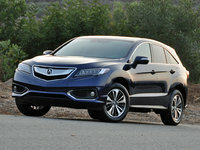 Versions of the car equipped with SH-AWD forego Acura’s Precision All-Wheel Steer system, which helps make the front-drive trims handle better. The heavier V6 engine also parks more weight over the car’s nose, but with the tires and technology working their magic, the TLX compensates beautifully. If it’s hot outside, and you’re exercising the car with vigor, it won’t take long to cook the brakes. And I’m talking well done here - extra crispy. My TLX 3.5 SH-AWD test car had the same 12.6-inch ventilated front and 12.2-inch solid rear discs that Acura installs in every TLX. From my previous drive of the TLX 2.4, my notes indicate that the brakes warmed up in heavy stop-and-go driving, grumbling and grinding while negotiating Los Angeles traffic. This time around, I didn’t drive the car under those conditions. Instead, I discovered that the brakes fade to a significant degree under conditions in which a driver counts upon them the most. Testing day was hot, and temperatures on the downhill portion of my mountain test route were in the mid-80s. It did not take long for the TLX’s brakes to heat up and start to fade, and by the time I reached the point where I typically perform a panic braking simulation, they had boiled to the point that transmission downshifting and the resulting engine braking produced greater slowing than did the actual braking components. From my perspective, any car marketed as a performance luxury sedan requires more substantial components than this, especially when a buyer is spending almost $3,700 on upgraded wheels and tires, which improve grip, which in turn allows the car to carry more speed on a twisty road, which in turn means the brakes are going to get a harder workout. For example, when you order a BMW 3 Series with the Track Handling Package, you’ll spend just $2,300 for bigger 18-inch wheels, performance tires, and upgraded braking components, along with variable sport steering and an adaptive M-tuned suspension. Acura’s statement is accurate in that I did not experience any braking issues outside of this specific type of driving and under those specific conditions, but a subsequent run on my test loop under similar heat and weather conditions in a BMW 3 Series equipped with that car’s optional Track Handling Package revealed nothing more than a hint of fade. Furthermore, the BMW’s brakes brought the car to a swift and speedy stop during my panic-braking test. If you emphasize the performance half of the TLX’s performance luxury equation, keep this brake-fade issue in mind. Also, keep in mind that the big wheels and tires appear to generate more cabin noise and impact harshness than might the standard 18-inch wheel-and-tire combination, producing a certain amount of cognitive dissonance within the context of the TLX’s cushy suspension tuning. Drive the TLX around town and on the highway, in the manner of a responsible citizen of society and with the IDS set to Normal mode, and you’ll be hard pressed to understand why Acura says this is a performance sedan. That’s because the Acura feels soft, smooth, and somewhat disconnected, almost leisurely. This is fine, though, because most people who buy a luxury car want these characteristics most of the time. Egregiously, though, the TLX exhibits an unbecoming tendency to bound and sway following pavement crests and dips. For example, while driving at 75 mph in the carpool lane of the southbound 405 freeway through West L.A., sharper bridge transitions, and especially those located mid-bend in the highway, produced a greater amount of body motion than expected. I’ve got no complaint with the TLX’s 3.5-liter V6, though. It's creamy smooth, loaded with power and torque, and sounds terrific when revved. I would, however, recommend sticking to Normal and Sport driving modes and forgetting about the Economy and Sport Plus settings, which make the car as lazy as your good-for-nothing stepfather or as frenetic as a Chihuahua taking a potty break on a cold winter’s day. Seriously, if you use Sport Plus mode in any situation other than when driving as fast and as hard as you can, the obnoxious revving and freewheeling between gears during downshifts will cause significant amounts of irritation. And Economy mode is the equivalent of a shot or two of Nyquil to the TLX’s drivetrain. 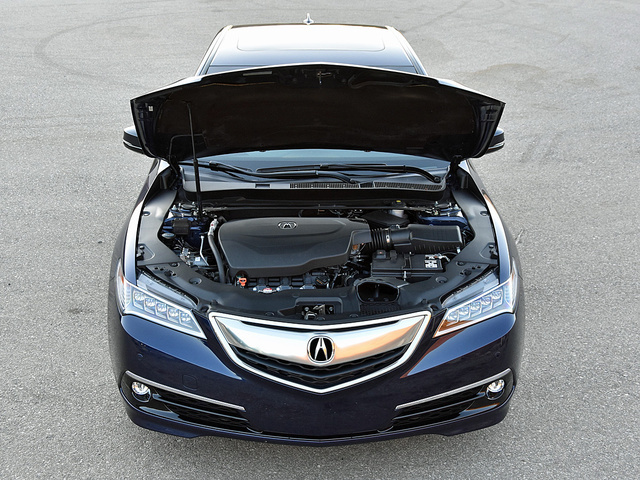 Equipped with variable cylinder management and an automatic engine stop/start system, my TLX was rated by the EPA to return 25 mpg. I got 22.8 mpg on my test loop, using either Normal or Sport mode the majority of time. 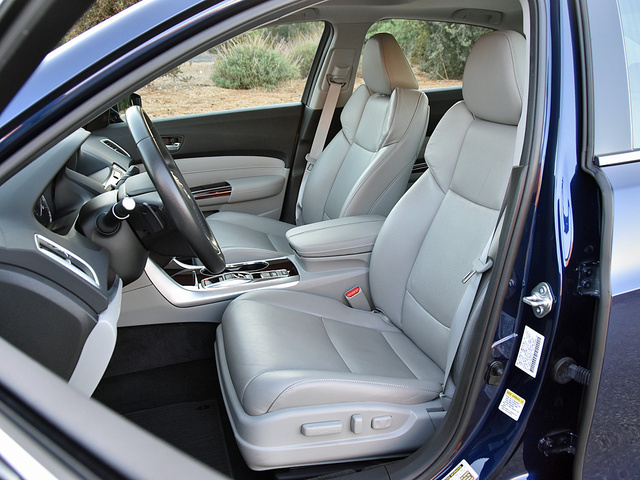 The TLX’s comfortable, almost plush ride quality is complemented by the comfortable, almost plush interior. The heated and ventilated front seats are positioned low in the car, but they supply perfect levels of support and help keep your backside cool when it’s toasty outside. Note, though, that an 8-way power front passenger’s seat and seat ventilation are available only with the Advance Package, the priciest version of the car. 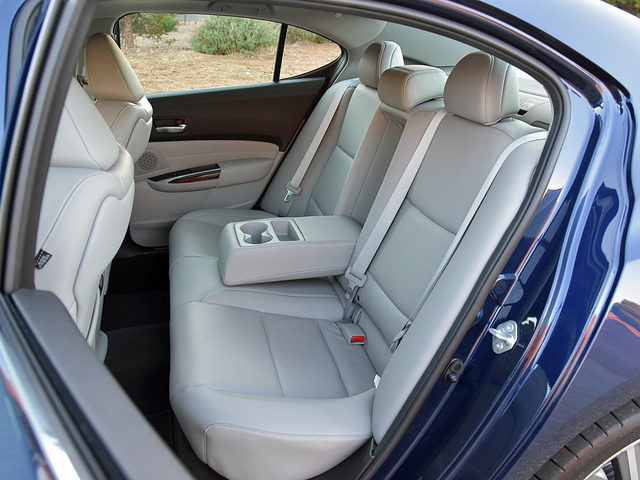 The rear seat is comfortable too, and though space is on the snug side, every potential contact point is soft and padded, including the front seat backs. Plus, air conditioning vents help keep passengers nice and cool. You won’t find any USB ports back there, though, nor any side window shades. This made my kids cranky, especially after my 8-year-old burned the back of her legs on the sun-roasted leather. Rear seat heating is absent as well. Up front, the driver faces stylish and legible controls separated by a driver information center that is used to program various features and functions. The TLX’s waterfall-style center control panel employs two different displays with two different methods of operation, but it's fairly easy to understand and use the most commonly referenced features, aside from the fact that Acura puts some of the climate controls on the touchscreen display and others on the dashboard itself. The stereo desperately needs a tuning knob to go along with its volume knob. Acura’s push-button transmission controls reside on the center console, and while I acclimated to them in short order, I’d still rather have a traditional lever. In part, this preference is because the electronic controls don’t actually save much space on the console. Mostly, though, I fear what will happen after the first spill of a gigantic-size iced mocha caramel blend-a-rino. The test car had seemingly suffered one at some point in its past, the IDS button proving a little bit resistant and sticky when used. Storage space is generous and useful, and the TLX offers 14.3 cubic feet of trunk space when equipped with the Advance Package. That’s more than a TLX with standard equipment or the Technology Package, evidently because Advance trims include a 1.1-cubic-foot storage compartment beneath the trunk floor. If you’re looking for a luxury car that provides Wi-Fi access and smartphone projection technology such as Apple CarPlay and Android Auto, the Acura TLX isn’t the right vehicle for you. It also doesn’t offer safe teen-driver technologies such as speed alerts, curfew alerts, or boundary alerts, even though the optional Technology Package contains the latest version of AcuraLink subscription services. What the TLX does have is Active Sound Control. This, combined with acoustic laminated glass, helps isolate the cabin from both the engine and the outside world. It also supplies access to Aha and Pandora internet radio, is compatible with Siri Eyes Free, and can read your text messages and emails to you. A Tire Fill Assist system helps the driver easily maintain proper tire pressures. 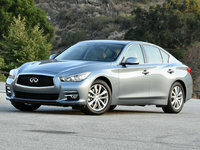 Choose the optional Technology Package for a navigation system, a voice-recognition system, a 10-speaker premium sound system, a climate control system that takes into account GPS data to adjust heating and cooling depending on the direction the car is traveling relative to the sun, and rain-sensing wipers. AcuraLink subscription services come standard with the Technology Package. Free features for the first 3 years of ownership include real-time traffic and weather data, as well as an AcuraLink Streams app that supplies access to thousands of internet radio stations as well as Facebook and Twitter feeds. Upgrade to the Connect app and service level for an automatic collision-notification system, one-touch emergency response technology, and stolen-vehicle location assistance. This package also supplies remote access to various vehicle functions, expanded navigation functions, a car-finder function if you’ve lost the vehicle in a large lot or garage, and live in-person assistance. Beyond AcuraLink Connect, the AcuraLink Premium service package adds a personal concierge feature. How does all of this come together? In my experience, I find Acura’s dual-screen control panel confusing. The top display is not touch-sensitive, but the bottom display is. Some of the climate controls are provided as hard keys on the dashboard, while some are not. Furthermore, some of the bottom screen’s functions can be duplicated on the top screen, but I don’t recall any of the top screen’s functions available through the bottom screen. Push the volume knob in and nothing happens. You must press a different button to shut off the stereo. Once upon a time, Acuras were models of ergonomic perfection. Now, beyond commonly referenced screens and functions, I can’t remember exactly which of the two displays might offer what information at any given time. At least I had no trouble pairing my iPhone 6 to the car’s Bluetooth, and it was easy to make and receive phone calls. However, due to road noise, perhaps exacerbated by the larger wheels and tires, I needed to bow out of a conference call and follow up with participants after my drive. Acura stumbles when it comes to the TLX’s safety ratings, too. I’m not talking about the depth and breadth of its driver-assistance and collision-avoidance technologies, which, for the most part, operate with a level of sophistication that continues to elude many automakers. Neither am I referring to the car’s performance in federal government crash tests, in which the TLX gets perfect 5-star ratings across the board. Instead, I’m talking about the TLX’s mediocre Marginal rating for its ability to protect its driver in a small-overlap frontal-impact collision. This car was a new design for 2015. Acura’s engineers knew about this tough new Insurance Institute for Highway Safety test before it was implemented way back in 2012, at about the time development and design started on the TLX. And while the TLX matches the old TSX model’s performance in IIHS testing, it performs worse than the old TL, which earned a Top Safety Pick rating. 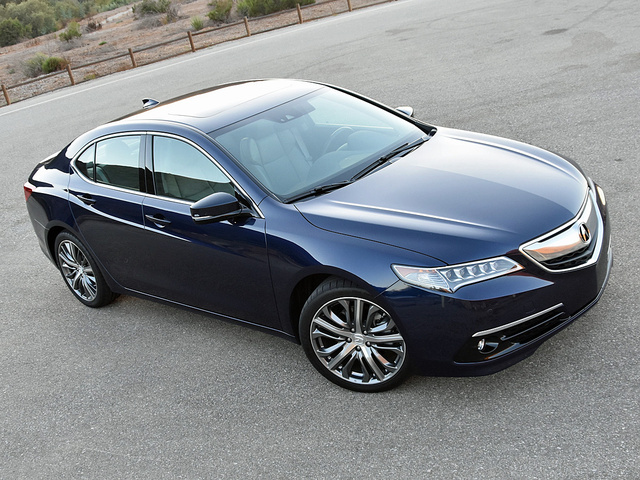 Granted, the TLX is not the only car in its class to earn a Marginal rating in this test. But it is the newest design to do so. Plus, the TLX gets a Marginal rating for the ease of use of its child safety seat LATCH anchors, and I can attest to that. In fact, I almost gave up on installing my kid’s seat in this car. It's easy to get into an Acura TLX for a lease payment of less than $400 per month, and that’s without paying a dime up front. You’re not going to be driving a loaded version like my test car for that amount of money, but you'll park an Acura in your driveway, and an Acura is nicer inside than a Honda, even when equipped with leatherette upholstery. From that perspective, and when matched against key competitors in its class, the TLX represents a real bargain. Still, as you’ve no doubt gathered by now, I’m not a fan of the Acura TLX, though I want to be. While the quality of the interior materials, the comfort of the seats, and the refinement baked into the controls certainly qualifies the TLX as a luxury car, from a design standpoint it's about as exciting as a saltine cracker. As for the performance portion of the equation, the TLX needed a better set of brakes, like, yesterday, and it could stand to benefit from a firmer ride, better body-motion control, and livelier steering. Finally, the TLX also needs a crash-protection upgrade. That Marginal crash-test rating, in such a new vehicle design, is impossible to understand. A credible performance luxury sedan is lurking within the TLX. I can sense it, and from time to time I even experience it. Furthermore, the company’s engineers have historically demonstrated expertise in crafting technologically advanced vehicles that are terrifically fun both to drive and to behold. Vehicles with personality. Vehicles that inspire passion and pride in their owners. 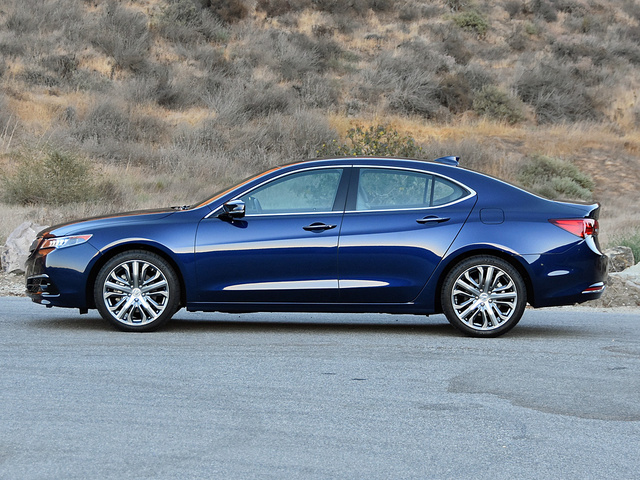 As it stands, the Acura TLX misses the mark on all fronts. But it is nicer inside than a Honda Accord. 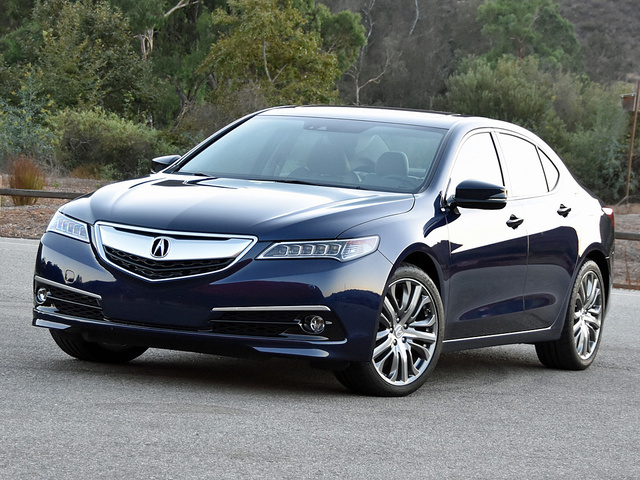 What's your take on the 2016 Acura TLX? 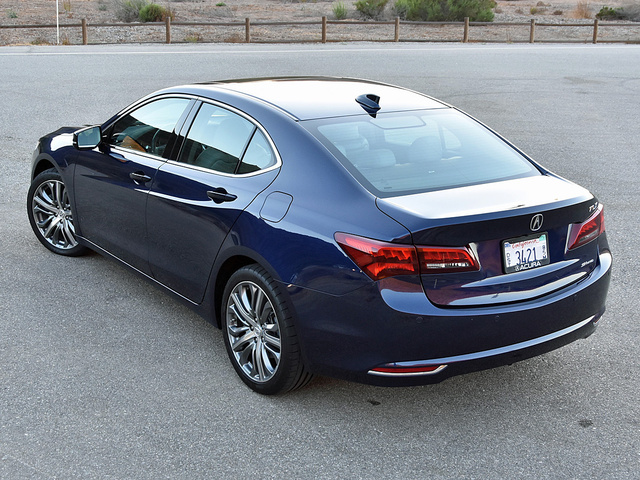 Users ranked 2016 Acura TLX against other cars which they drove/owned. Each ranking was based on 9 categories. Here is the summary of top rankings. Have you driven a 2016 Acura TLX? Do You Have Any Cars Listed From Los Gatos Acura?